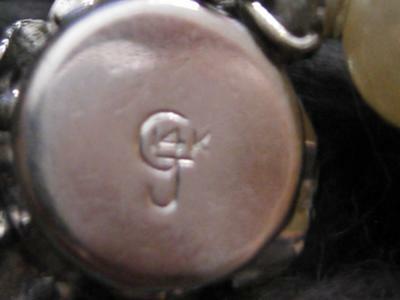 Who had a GJ mark but wasn't Georg Jensen? I purchased this piece at an estate sale, thinking that the GJ mark could only be that of Georg Jensen. But, it appears that I was quite wrong. So, who DID make this piece? It is a string of decent quality pearls with a G intertwined(?) J mark and 14K. I suppose it could be a CJ, but, in either case, I have been unable to learn who made it. Please see the photo attached. Any help would be much appreciated.